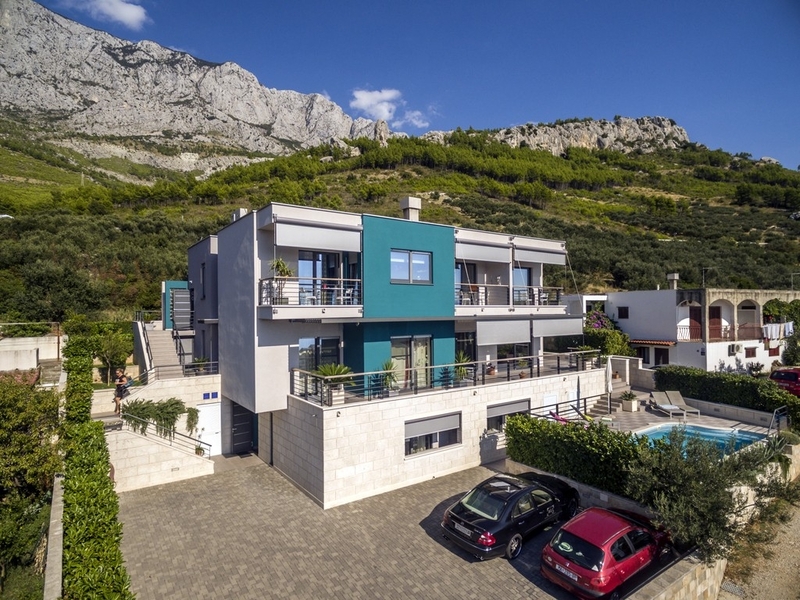 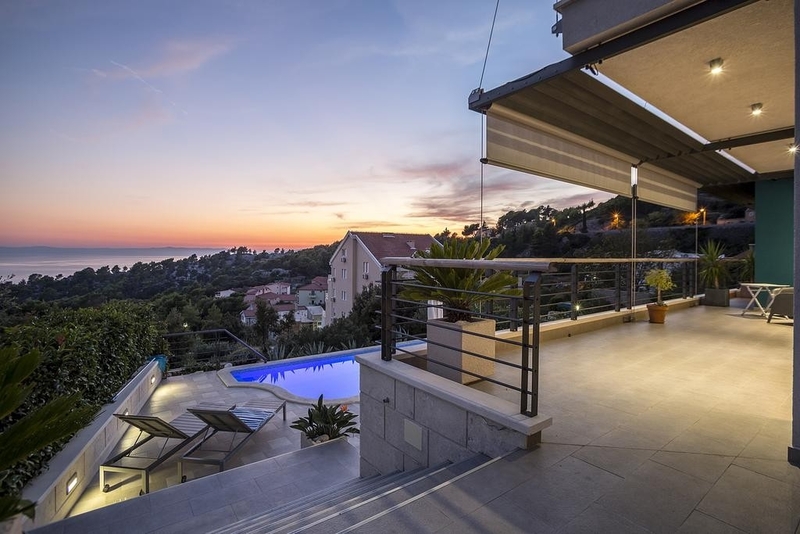 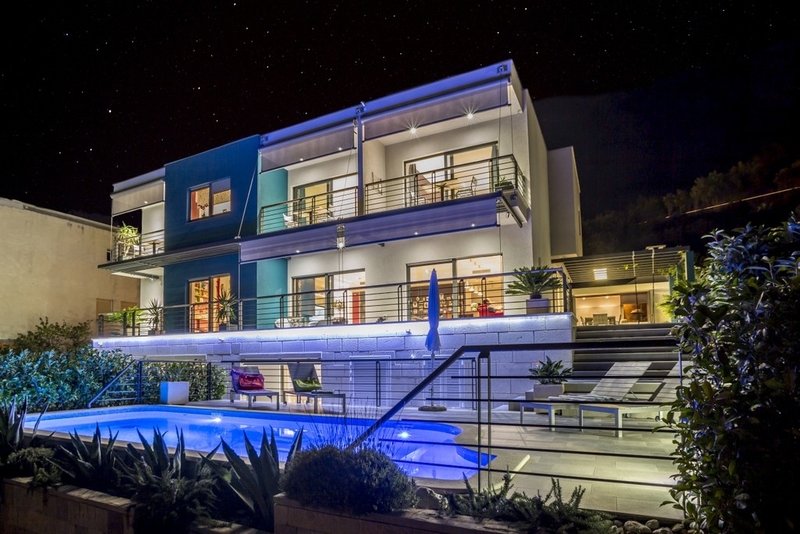 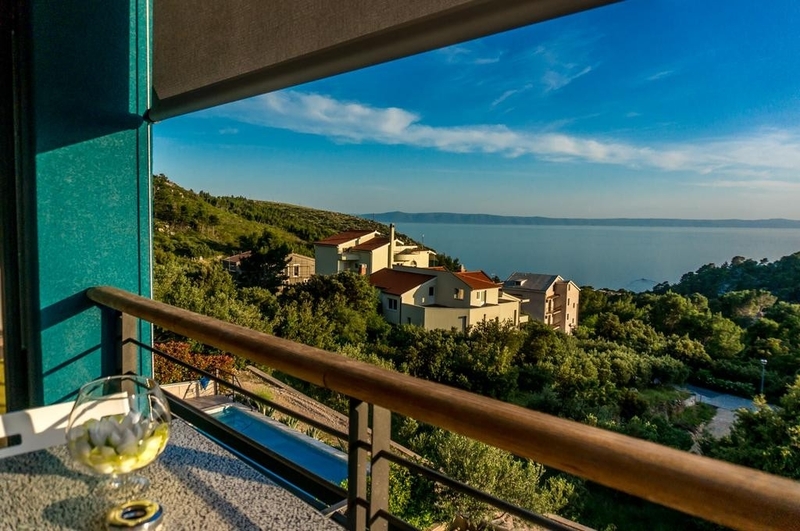 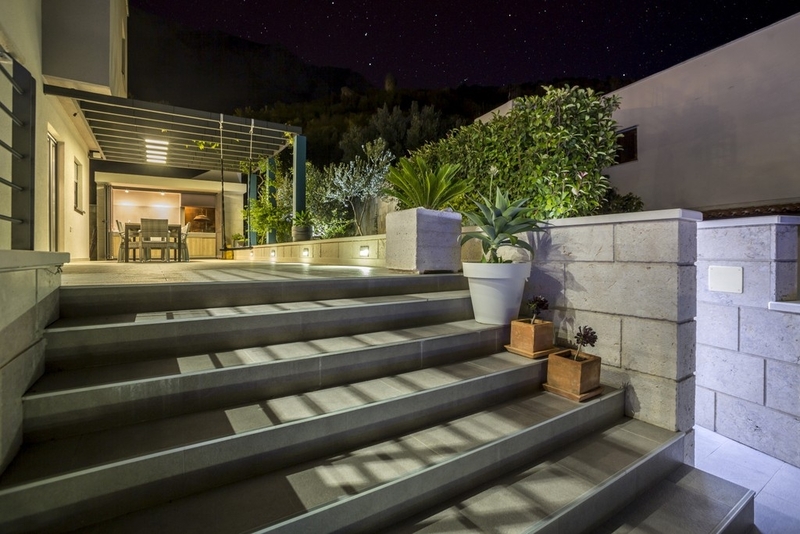 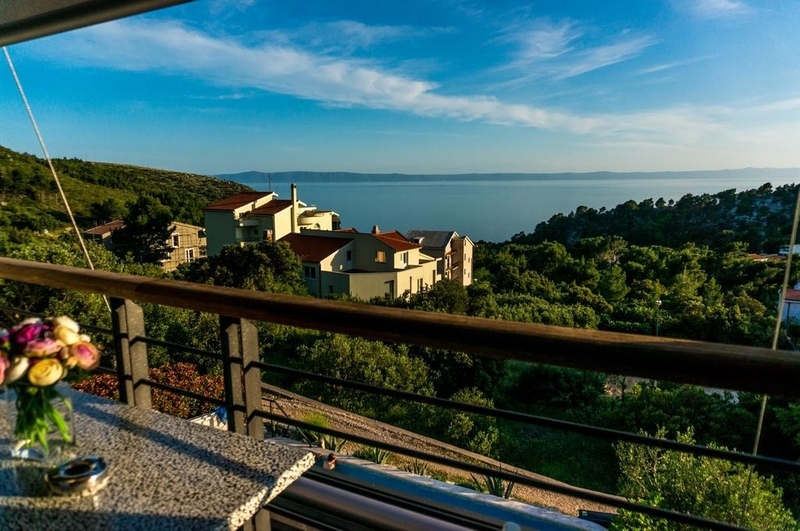 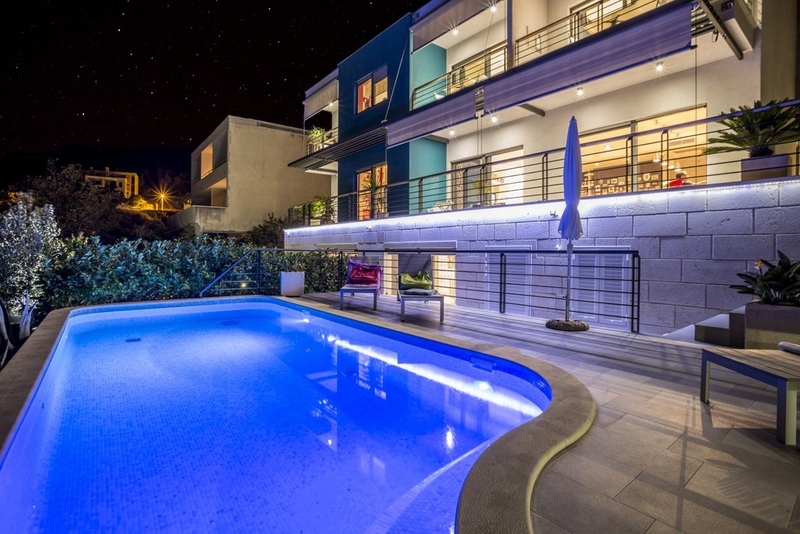 Luxury villa for sale with five apartments and an apartment for the owner located in a quiet environment only 600 m from the beach and yacht marina in Krvavica on Makarska riviera. 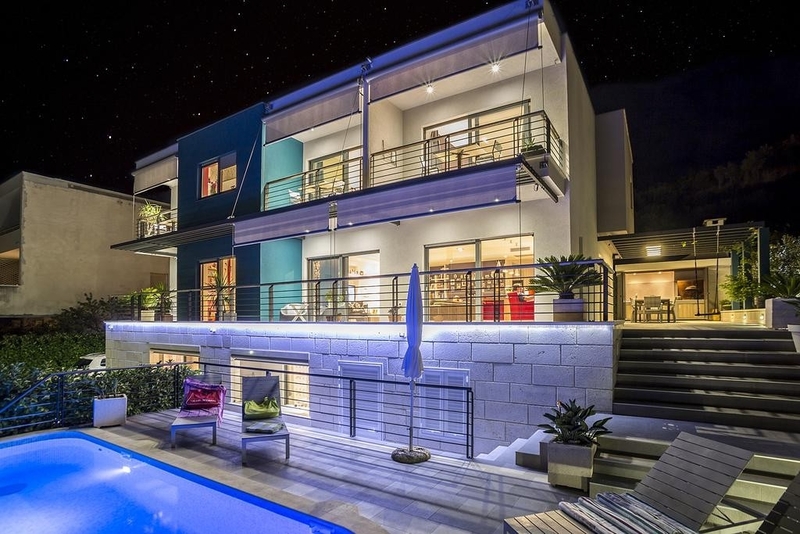 This unique villa is one of the best examples of contemporary Croatian architecture. 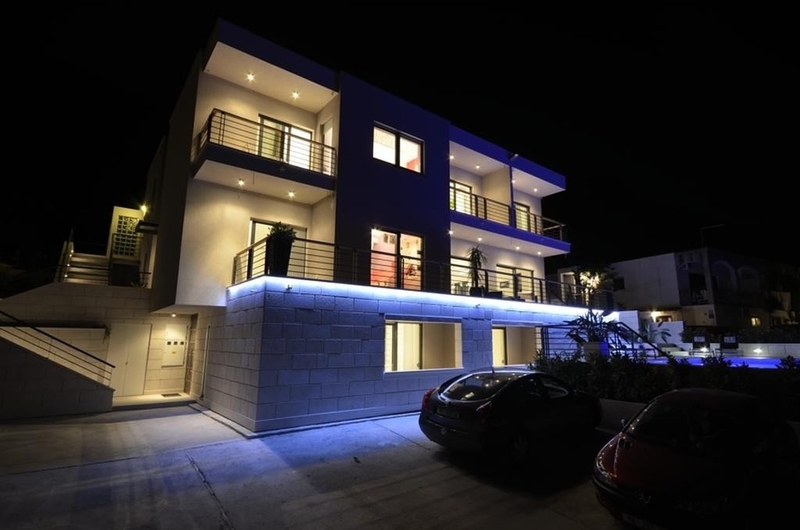 The villa has 3 floors and each floor has a separate entrance. 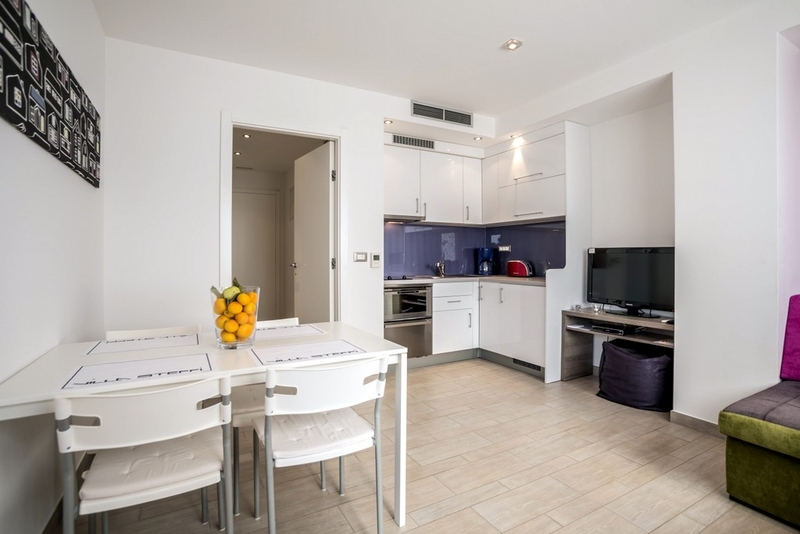 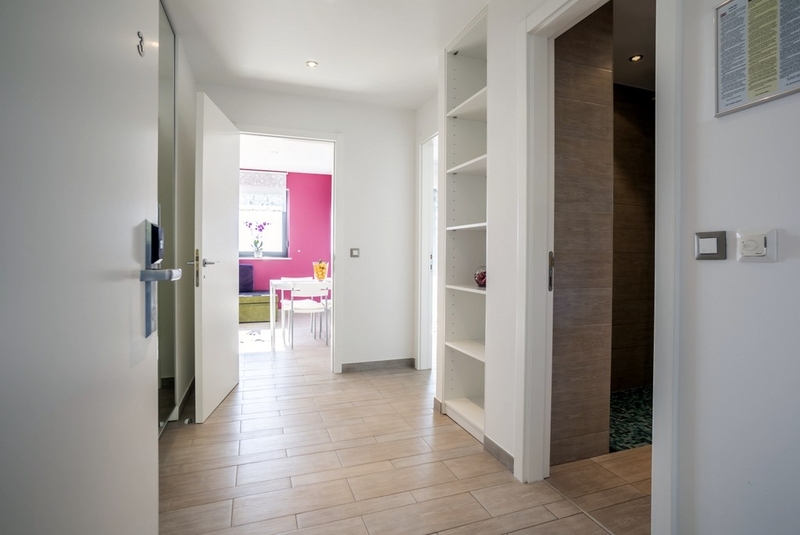 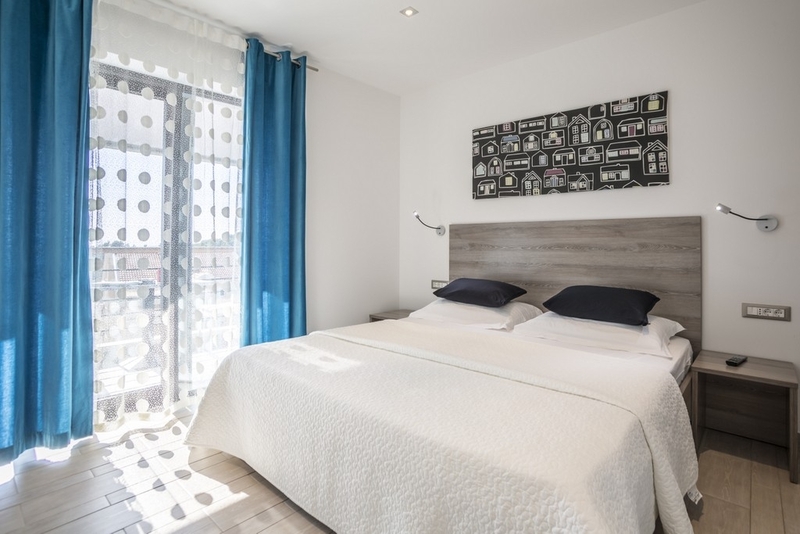 On the ground floor there are 2 apartments for tourist rental, on the first floor there is a large apartment for the owner, and on the second floor there are 3 holiday rental apartments. 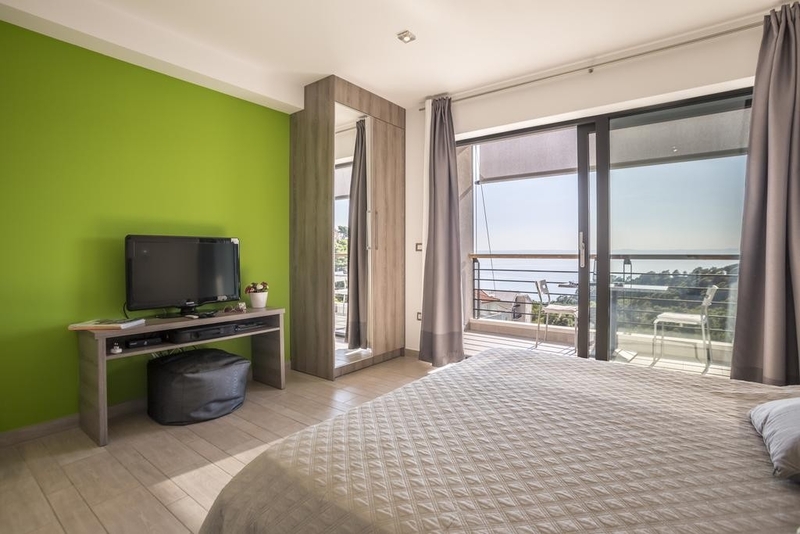 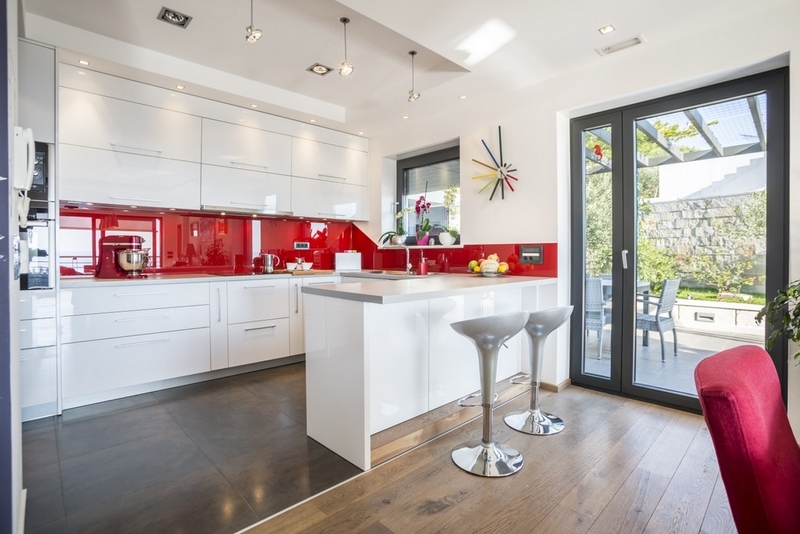 Each apartment has a modern kitchen / dining area, a large bathroom, a lovely bedroom and a sea view from the balcony. 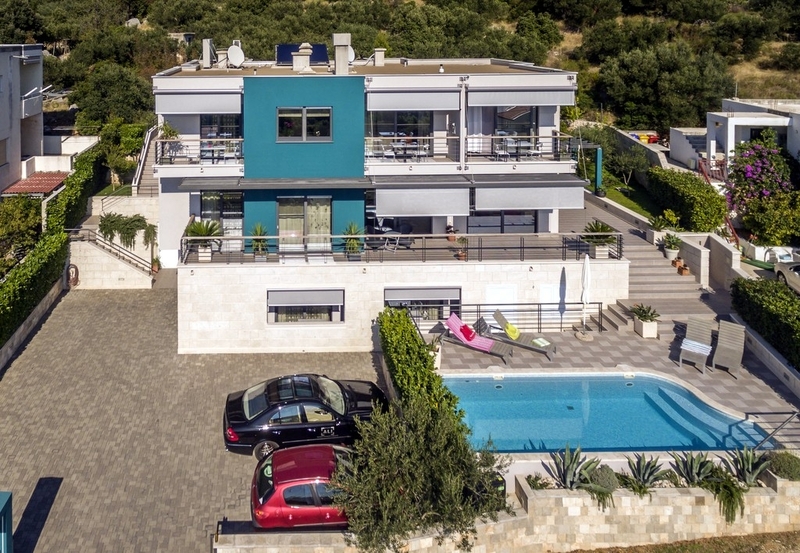 The owner's apartment has an exceptional living room, an elegant dining room with a beautiful sea view, fitted kitchen, master bedroom with double bed, guest bedroom, child bedroom. 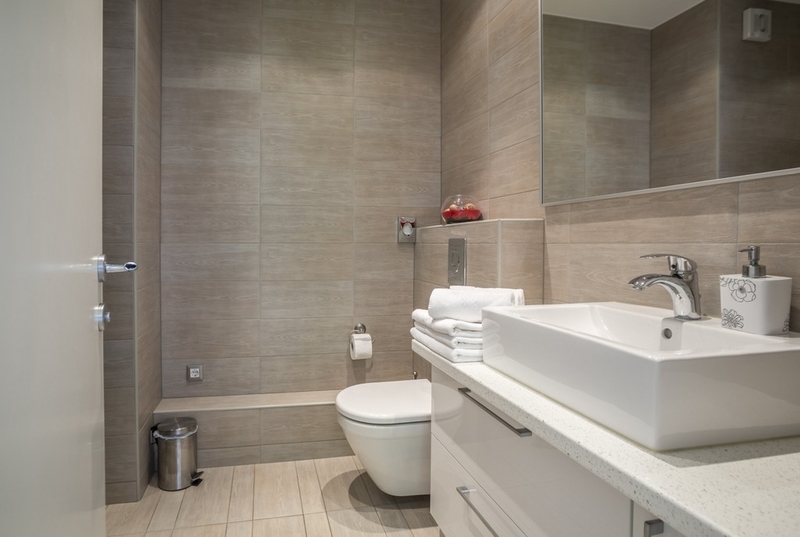 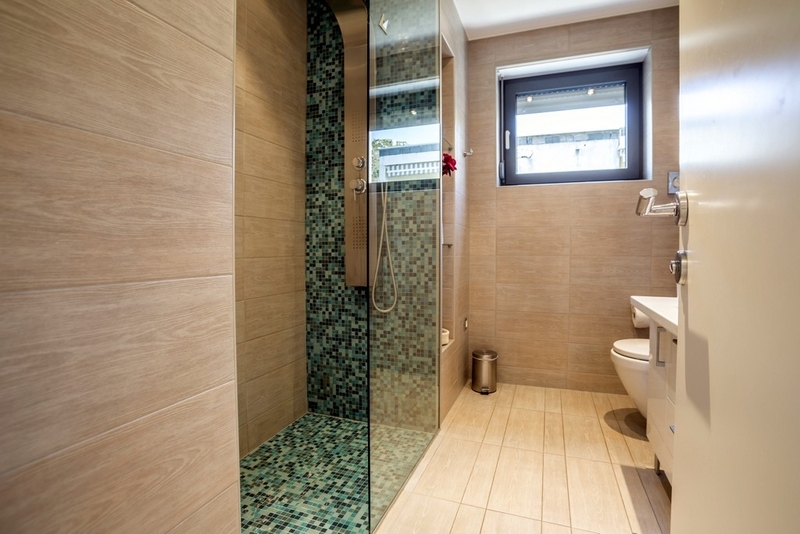 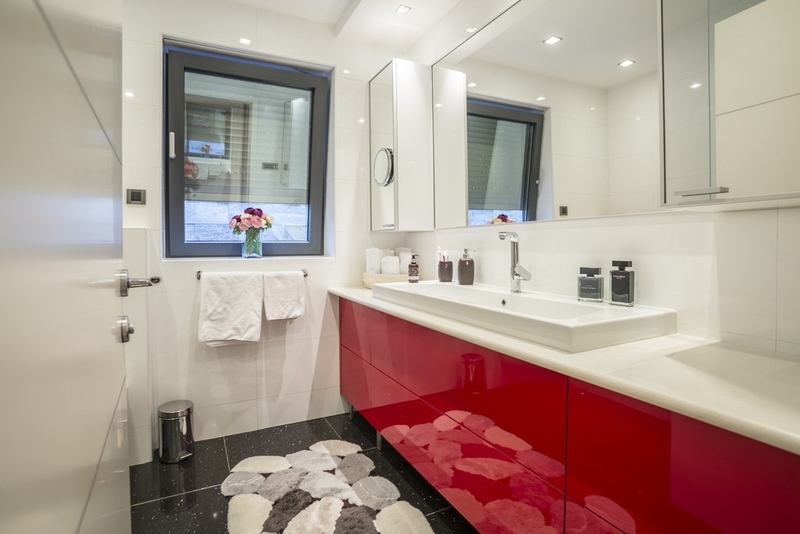 Each room has its own bathroom with a shower. 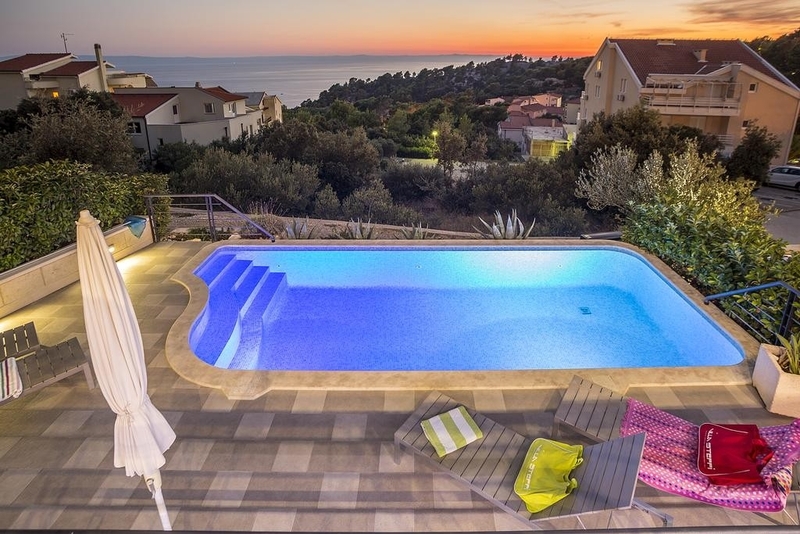 All the furniture in the villa is new and made on order. 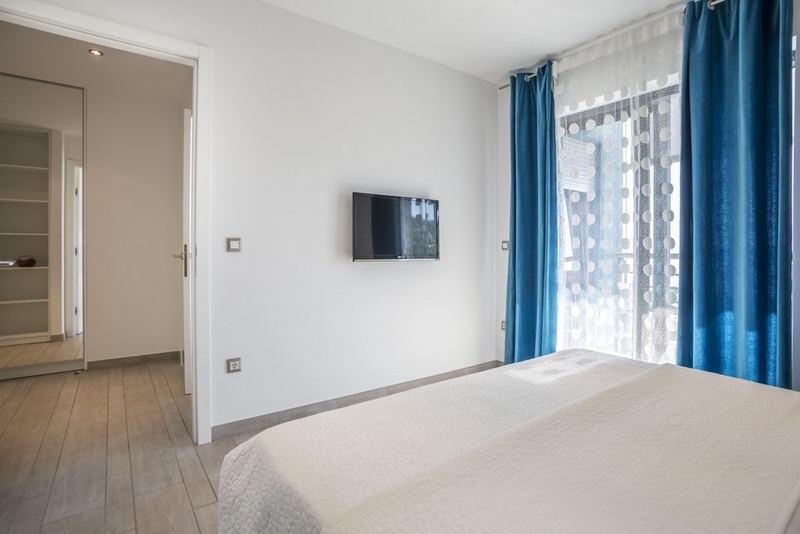 All rooms are air-conditioned. 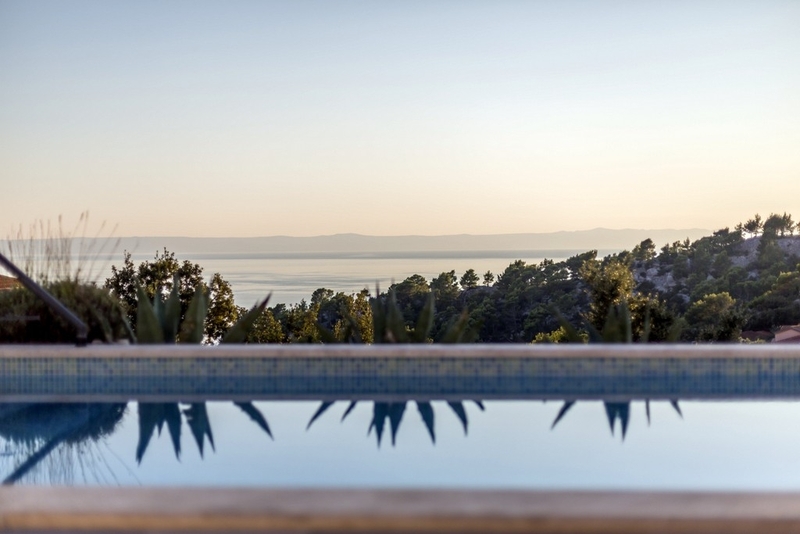 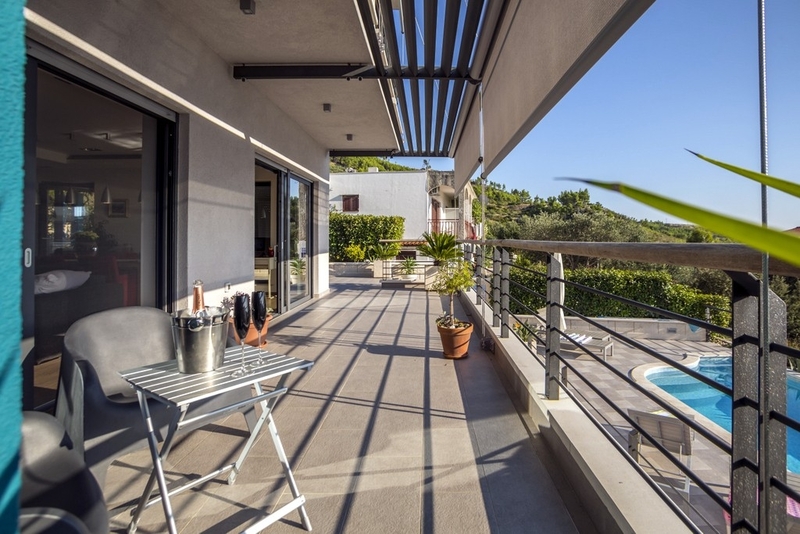 The villa has a spacious pool with a terrace and an outdoor shower. 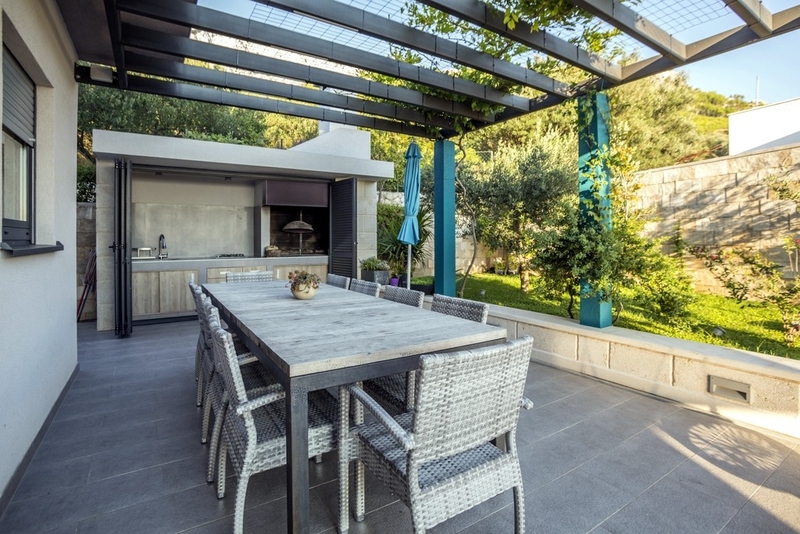 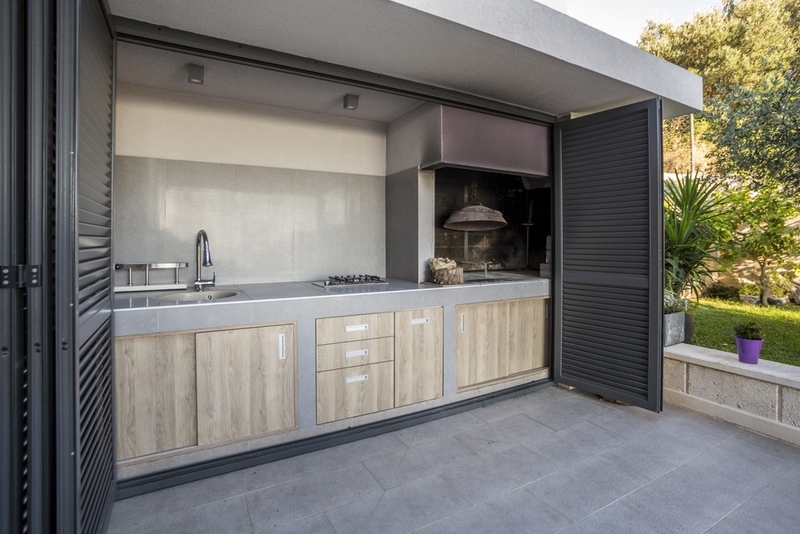 On the 1st floor there is a pergola covered terrace which is accessed from the kitchen, and there is a barbecue with seating area. 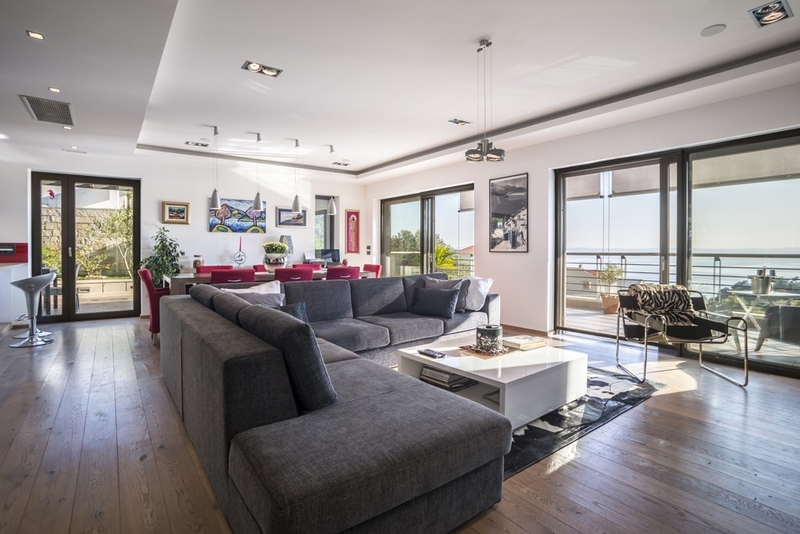 Ownership certificate, usage permit and energy certificate.